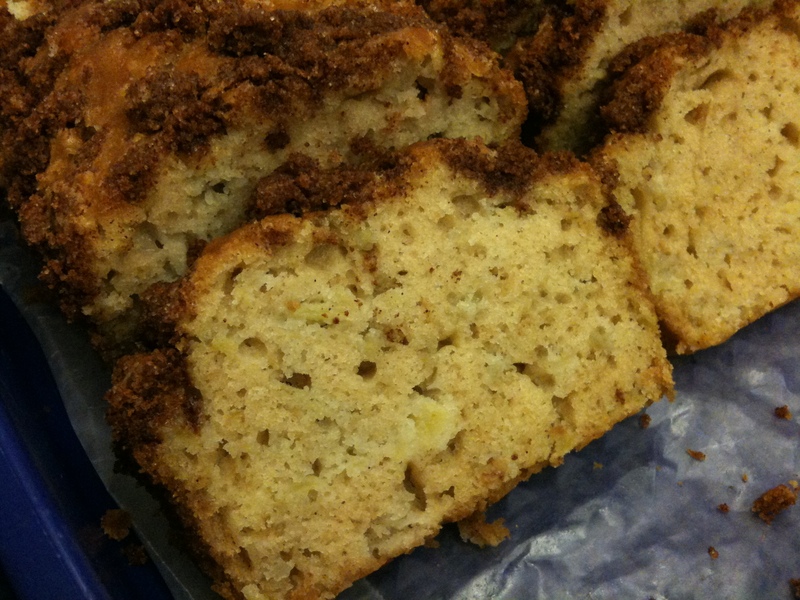 Got this recipe from my co-worker Natalie W. She won our weekly football pool and shared her winnings by bringing in a couple loaves of this apple bread. She made three loaves, but only two made it to work. That’s how good this recipe is. Cream together oil, eggs, sugar, vanilla, baking soda and salt. Stir in apples and flour. Pour into 3 loaf pans (approx. 8.5 x 4.5″) and sprinkle with topping. Bake at 350 degrees for about 45-60 minutes. Check with a knife to be sure loaves are done.